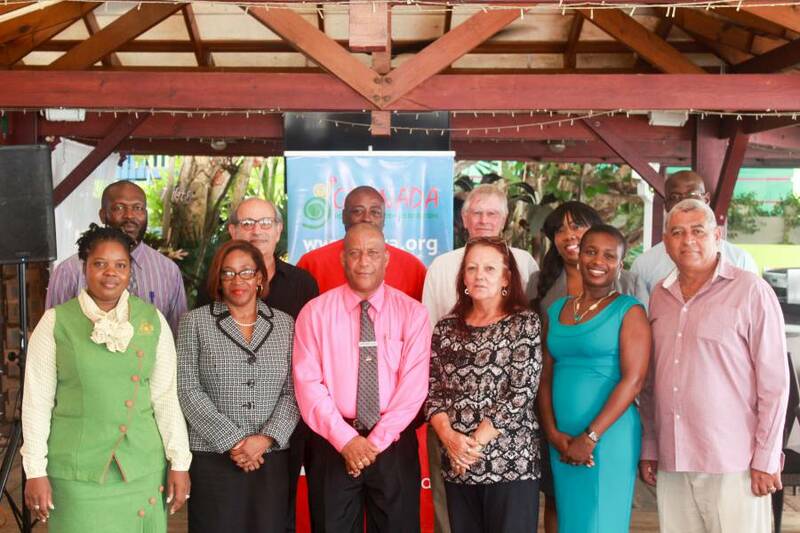 22 accommodation providers are now recipients of grant funding administered by the Grenada Hotel & Tourism Association and the Grenada Development Bank to the tune of approximately EC$345,000 through the CARICOM Development Fund (CDF) Country Assistant Program (CAP). On Tuesday 7 June, Wave Crest Apartments and Grenada Radisson Beach Resort became the latest recipients when they received cheques of EC$23,856.72 and EC$40,500 respectively, at a ceremony held at the True Blue Bay Resort. Senior Credit Manager, Grenada Development Bank, Donald Williams spoke of the current loan component of the CDF CAP which was launched in May of 2016, to be administered through the GDB in the sum of US$3 Million (approximately EC$8.1 million): “the program basically targets the productive sector. We are looking at agriculture, fishing, manufacturing and creative industries.” He explained that the GDB recognises the creative industries as an import sector which can assist in the development of human resources, resulting in enhancement of the productive sector, which contributes to economic growth. As the funding comes to an end, there is approximately EC$26,000 which the GHTA will use to aid in assisting small accommodation providers to install energy-saving equipment.